DIAMONDCORP is to retrench employees at its Lace diamond mine in South Africa’s Free State province and warned its chief lender, the Industrial Development Corporation (IDC), that it would be put into liquidation if a new funding deal was not agreed by mid-May. 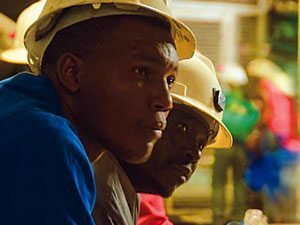 The embattled diamond miner said negotiations with the Association of Mineworkers & Construction Union (AMCU) regarding putting Lace on care and maintenance had failed. “Consequently, effective April 3 all employees will be retrenched,” the company said in a statement to the Johannesburg Stock Exchange. A consequence of the retrenchment is that previous bail-out finance arranged with the IDC in terms of a business rescue procedure was no longer available. “The board of DiamondCorp has advised the BRP [Business Rescue Practitioner] and the IDC that unless there is an accelerated plan and route for funding in place which can be completed by mid-May 2017, including a significant restructuring of all debt, and successful exit from the Business Rescue process, then it is likely that the group would need to be placed into administration. DiamondCorp announced on January 13 terms of a proposed two-stage recapitalisation of LDM. The first stage was the placement in which shares priced at four pence each would be issued with one warrant per share attached. The warrants could be exercised at a price of 1p per share. This would be enough to bring Lace Diamond Mines out of business rescue and lead to a second stage capital raising which would raise between £3m to £5m. Lace diamond mine was supposed to be in commercial production in December. However, this was pushed out to February owing to tonnage constraints related to drilling complications caused by falling kimberlite rock. The company for a while considered selling the mine but in the absence of value offers sought to solve its own problems until the rains struck severely damaging its equipment and ending its hopes of meeting the February production deadline.